Ingenuity incarnate. If there’s one universal truth to the man behind the Radic™, it’s that if he wants something done, he’ll do it himself. 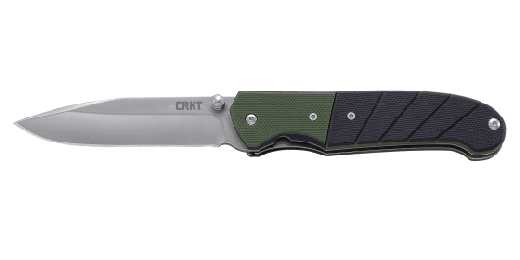 That was true when, at age 15, Ken Steigerwalt made his first knife sitting at his kitchen table, and it’s certainly true now as he releases this smarter, simpler, tougher everyday carry knife. If you’re looking for something muted, covert, and slightly boring, don’t check Ken Steigerwalt’s garage in Orangeville, Pennsylvania. Ken is the type of guy that toes the line between knife designer and artist, and the Radic™ everyday carry folding knife is definitive proof. The first clue that this is no ordinary everyday carry (it is named after the word “radical”, after all) is the eye-catching modified sheepsfoot blade complete with a satin finish. One push on the blade’s prominent thumb stud, and you’ll be sure it’s a showpiece. 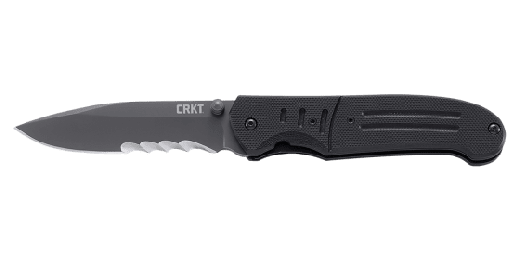 Manually open the blade 30 degrees, and the OutBurst® spring assisted mechanism jumps to life, completing the rotation until it’s caught by the locking liner and secured in place. Extended jimping on the backstrap finishes the sleek look. Tough G10 handles prove that a true artist knows form follows function. They’re at once incredibly durable, easy to keep ahold of no matter the conditions, and shaped perfectly to balance out the burly blade. Ken’s not one to play by the rules. The artful utility of the Radic™ shows his true colors. Simply manually open the blade up to 30 degrees and the patented OutBurst® assisted opening mechanism springs the knife fully open so that you’re good to go. The powerful spring also holds the blade securely closed when not in use. Ever since he was a kid, if Ken needed a knife, he just made one. His first one was built from a saw blade at the kitchen table using a vise, files, and sandpaper. Needless to say, he’s gone on to create more highly designed knives that have won him 11 Blade Show awards in seven consecutive years, including two Best Folders awards and one Best Folder of the Year. 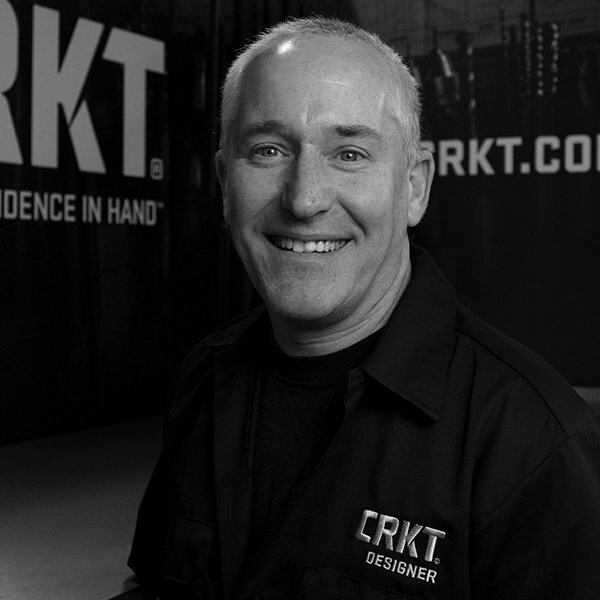 He also co-designed the patented Fire Safe® safety innovation, which is used on many CRKT® blades.